Finding high quality sunglasses at the local optician that don’t ‘break the bank’ can be challenging. Luckily INVU sunglasses by Swiss Eyewear Group are now available in over 10,000 optical stores worldwide to meet this demand and offers unmatched value for money. 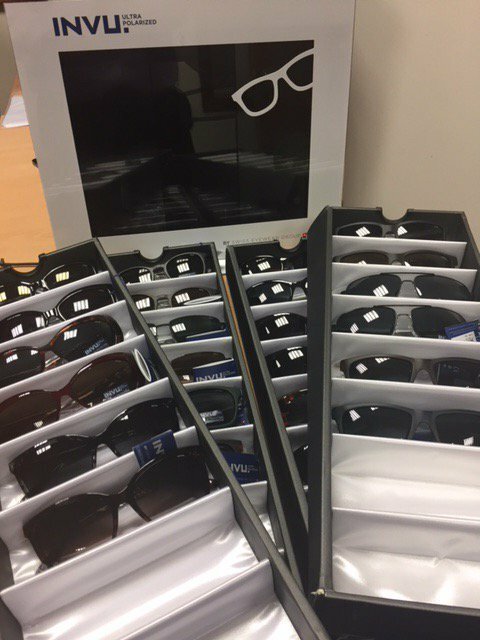 Recent market research highlights the importance of this price segment and confirms the exceptional retail sell-out of INVU sunglasses. All INVU sunglasses are designed and engineered in Switzerland and feature Swiss Eyewear Group’s proprietary ultra polarised lens technology. The new collection features a wide choice of elegant women’s, contemporary men’s and splashy trend models. 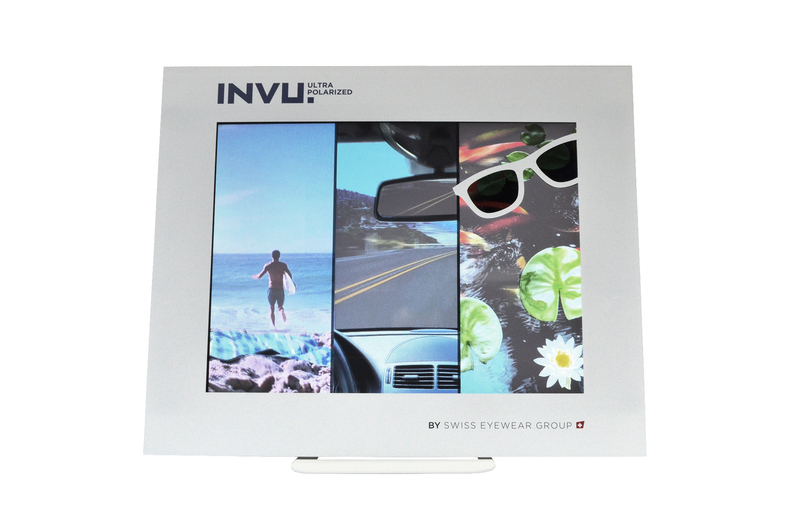 INVU also supply highly innovative LCD screens that allow consumers to experience the unique benefits of INVU’s ultra polarised lens in-store. Polarising lenses were invented over 80 years ago. Now INVU ultra polarised has reinvented the polarised category, creating exceptional value for consumers and retailers around the globe. 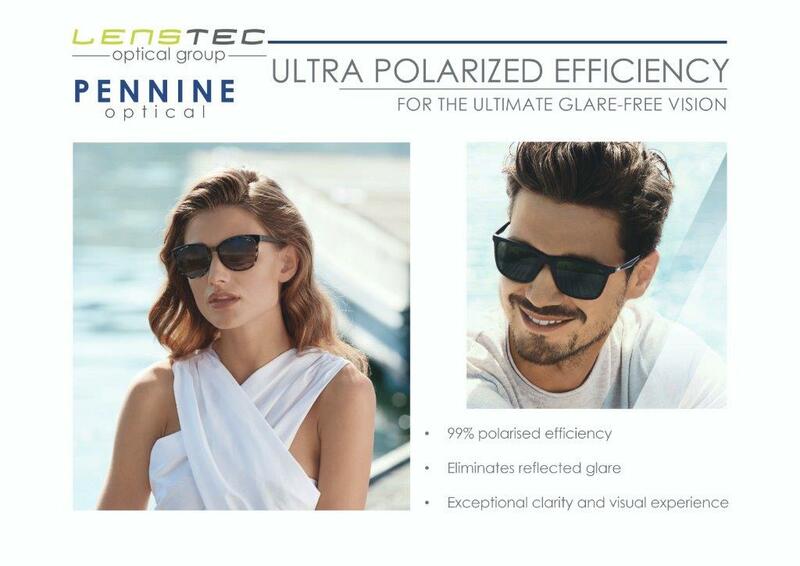 The Lenstec Optical Group 2019 INVU Polarised Rx Programme is driven by polarised technology across all indices including CR39, Trivex, Polycarbonate and High Index all at a great Frame + Lens prices; available in single vision, bifocal and digital varifocal lens types. The package also incorporates some of the very latest polarised material options including polycarbonate graduated and Infinite Grey™ 35-9% LTF.